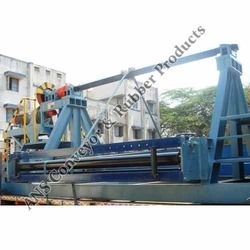 Backed with team of experts, who have rich expertise in their concerned fields, we manufacture and supply of Belt Coiler/Winder hydraulic as well as mechanical type, which involve rigorous R&D of the product and current market preferences. We offer Conveyor Belt Brush for their wide applications in various industries such as food & drugs, soap industry, wood, chocolate, paper, tin drums, automobile and many more in automation & processing plants. The belt is kept clean and spillage below the belt is reduced. This avoids damage to the edge of the belt and important parts of the frame. These are provided with no risk of pinching and minimal friction results in a practically maintenance-free solution. The Belt is mounted on the return run of the belt and provides active restraint and constant control of the belt. 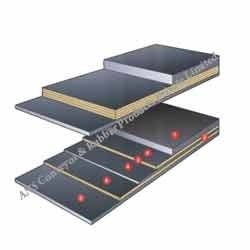 We have high reliable and durable conveyor belts for high temperature and applications require a non stick surface. These are sourced from reliable manufacturers in order to ensure quality and high efficiency. These silicon coated conveyor belts are good heat conductors and can easily absorb temperature up to 250'c. These are widely used in chemical and pharmaceutical industries. Further, these can be availed at affordable prices within the stipulated time frame. The Conveyor Heavy Duty Belt Conductor we offer is also capable in conveying all types of loads including light, medium and heavy loads. 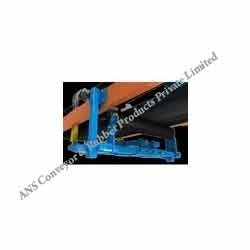 This Heavy Duty Belt Conductor is extensively used in varied Material Handling Applications. These are available in various specifications, these can also be custom made, as per the requirements of the customers. There are two main industrial classes of belt conveyors. The products are extensively known for features like reliable performance, durable finish standards and optimum tensile strength. 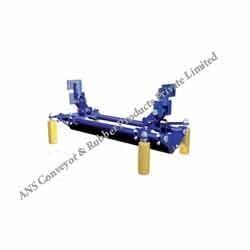 We offer Conveyor Reversible Belt Conductor ease of operation we furnish our range with slip-proof pulleys, brake motors and reverse operation drive at the middle. 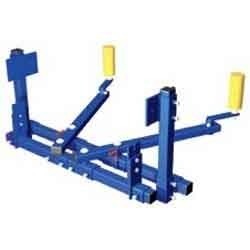 The edge rollers sense any belt mist racking and the control roller corrects the belt lateral movement. 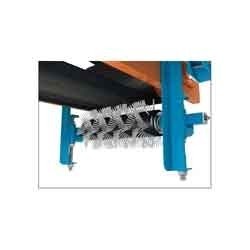 The Belt Conductor is fully adjustable for different belt widths. These are manufactured in various sizes and with various material combinations to cater to the specific requirements of the client. The Belt Conductor takes care of a constantly recurring maintenance problem, reduces operating costs and increases conveyor availability. We manufacture, supply and export a wide range of The Single Source for Textile Belts which are applicable in various industries. These are available in different sizes and designs with high performance and easy to install. We provide them as per the requirement of our valuable clients. Furthermore our range is appreciated for durability and reliability. We provide them with high grade raw material in fabrication. They are offered at affordable rates at international standard. Looking for Conveyor Belt Equipment ?